The -Hanaya- Fairies Garden Collection grew again. A cute twiggy dining set with botanical themed cushions, fairy plates and a texture change bouquet. 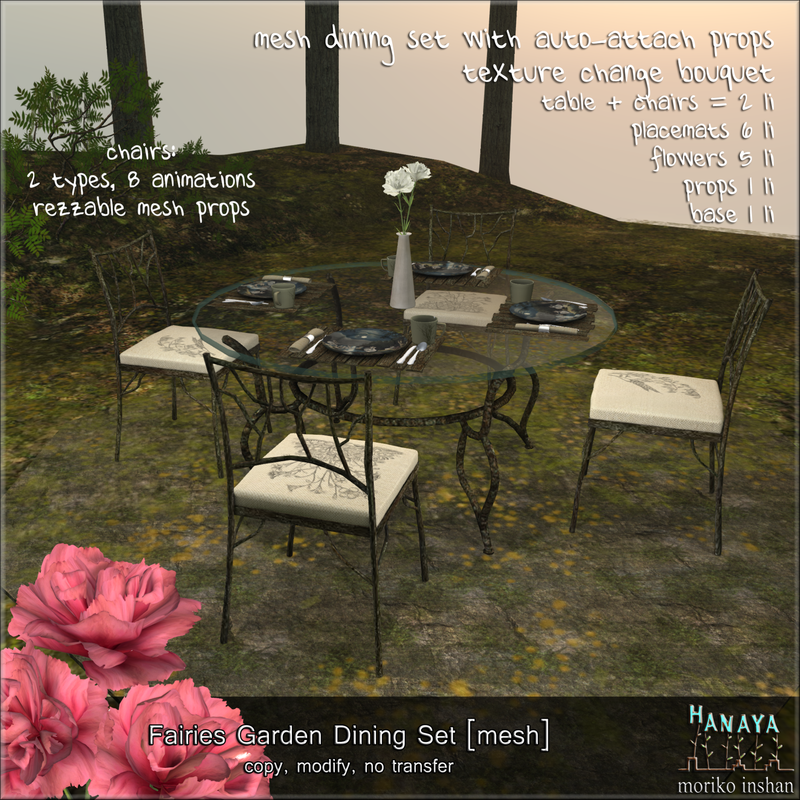 Available at -Hanaya- inworld store and the Second Life Marketplace. Wear your VIP tag if you shop inworld for group discount of 20%. This entry was posted in Product Announcements on March 4, 2016 by moriko.